Before continuing to read the main part of this information page, it is important to acknowledge that there are no certainties when talking about asbestos and asbestos containing materials and products. This is why it is essential to have a School or Public Use Facility (indeed, any building or facility) assessed and tested for asbestos. Sampling and testing for the presence of asbestos is the only conclusive way to rule out the presence of asbestos. What Is The Likelihood of A School or Public Use Facility Containing Asbestos? 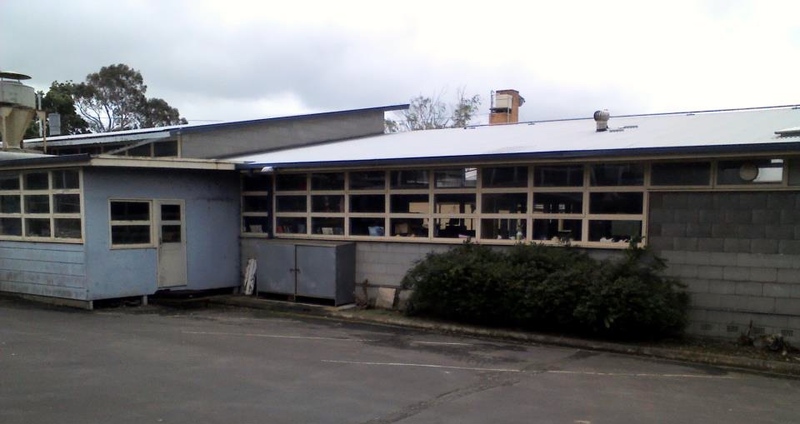 In Australia asbestos building materials and products were used prolifically in the building industry from the 1940s to the cessation of it use in the 1980s. It is therefore likely, virtually every School or Public Use Facility built before 1990, contains asbestos of some kind – unless there is evidence to the contrary it should be assumed all facilities built before 1990 do contain Asbestos Containing Building Products and Materials of some kind, and all those built before 2004 (when the use of all forms of asbestos was banned) have the possibility of containing products that have been made with asbestos content. The grounds and surrounds of any School or Public Use Facility, regardless of when it was built could feasibly contain asbestos debris. To be safe in areas where asbestos is known to be present, or has the potential to be present, you need to Learn About Asbestos Containing Products and Materials. It should be noted the asbestos problem in Australia, particularly in schools, is quite different to that of the UK and the USA. This does not mean it is any greater or less, purely different mainly due to the varying climate conditions dictating a greater reliance on certain products and materials. Due to the different and prominence of use of various types of asbestos containing materials and products, it is often misleading to make direct comparisons of the asbestos problem in Australia to that in the UK or the USA. A prime example of this is that plaster board (often called Gyprock in Australia and known as drywall in the UK and the USA) commonly was manufactured containing asbestos in the UK and the USA, this was not the norm in Australia. The northern hemisphere has a far bigger problem with asbestos being used as insulation. Thus a far greater worry with friable asbestos. Australia’s most prominent problem is bonded asbestos cement sheet, roofing and fencing and to a lesser degree, acoustic and insulation ceiling tiles. Where Is Asbestos Likely To Be Found In Schools and Public Use Buildings? 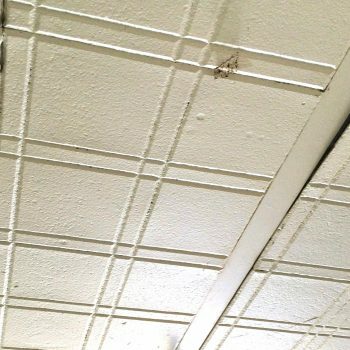 If ceilings are constructed of acoustic tiles, they may contain asbestos. Whilst they are considered bonded if intact, they can easily become brittle and friable if broken, or even squeezed by hand. Asbestos containing ceilings of this kind should be replaced as a matter of urgency, until this can take place they should be sealed and procedures put in place to ensure they cannot inadvertently be damaged. Asbestos cement sheet was regularly used as ceiling lining, particularly in wet areas, but it can be found in any room or area. If it is in sound condition and painted it poses no inherent risk to health, however, procedures should be put in place to restrict activities that could lead to damage resulting. 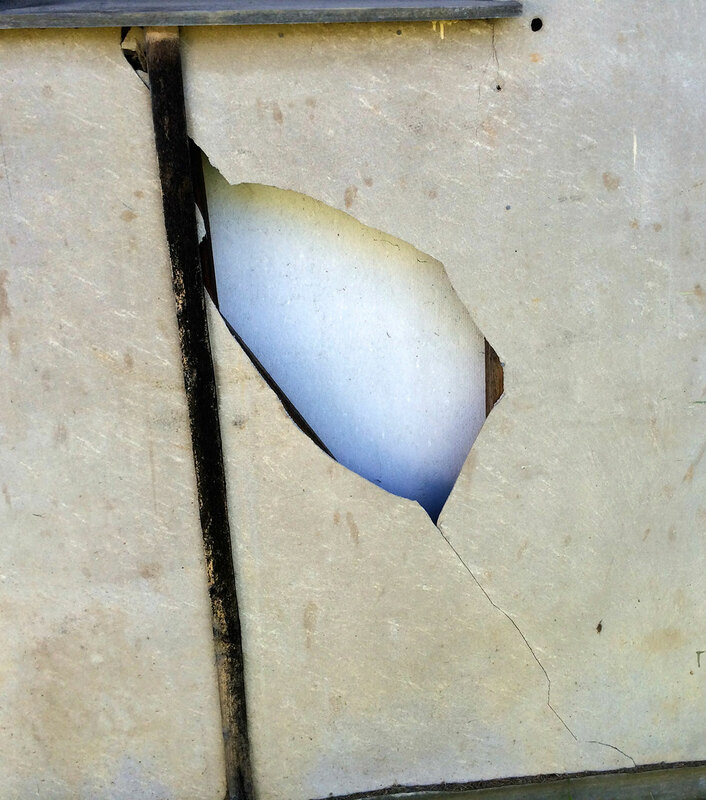 Sprayed on asbestos containing insulation and asbestos containing textured finishes are also common in any area. A trap with these are that they are quite often painted over, so they give a modern day appearance. Sampling and testing is the only way to know if asbestos is present. 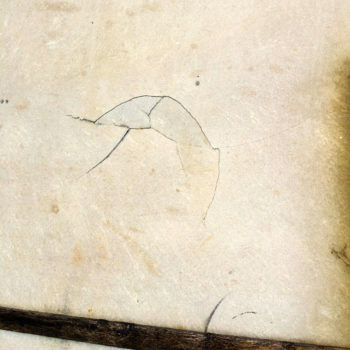 Areas with damaged or degrading asbestos containing ceilings of any kind, should not be used! Ceiling cavities or roof spaces can hide many different forms of asbestos, or asbestos containing materials and products. Heaters, hot water services, air-conditioners, insulation (various forms), flues, cement sheet, compressed cement board and electrical wiring are just a few possibilities. Warning: Ceiling cavities of all types of buildings should not be entered unless they have been assessed, and it is determined they are free from all forms of friable asbestos, and if there is bonded asbestos material or product in situ, it is in a sound safe condition. 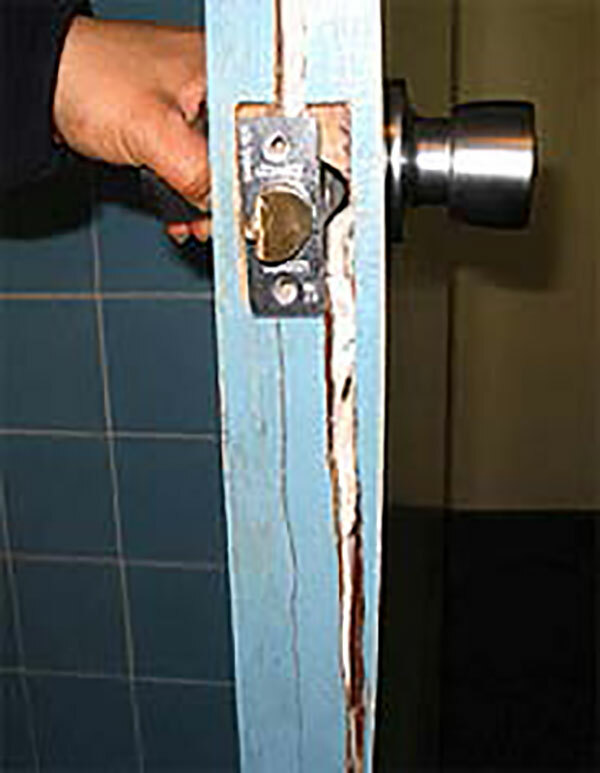 It was common for Schools and Public Use Facilities to have fire proof doors installed. Most of these doors will have a an identification plaque fixed to either of the vertical ends. But they may not identify asbestos being present. Often the corresponding door jams will also contain asbestos. The eave, also known as the soffit, is the underpart of a roof between the wall and fascia (gutter) section. It is common in Australia for eaves and verandahs to be lined with fibro cement sheeting or other forms of material that may, or may not contain small to large amounts of asbestos fibres. 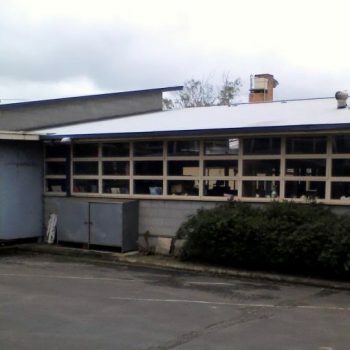 Buildings built prior to the ready availability of asbestos cement sheeting after WW2, used flooring type strip timber to line eaves and verandahs – this is easily recognisable. It is essential if the building was constructed prior to 1990 the eave and verandah lining material be sampled and tested for asbestos to identify the exact risk it presents. Super 6 Corrugated Asbestos Cement Sheeting was used throughout Australia (particularly in coastal areas) to construct fencing. If still standing, and not in good condition, they present a hazard and should be removed. Caution: The danger of Super 6 fences is often unseen, and below ground – often when people demolish a Super 6 fence they will break it off just below ground level, leaving up to 2 feet or 60 centimetres of material underground. This is something everyone should be wary of when digging along old fence lines. Flooring areas are often overlooked, with asbestos cement sheet typically used to give a waterproof flat backing to lay floor coverings over. 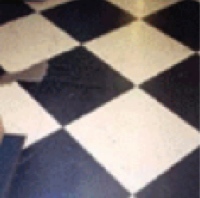 The floor covering themselves often contained asbestos. 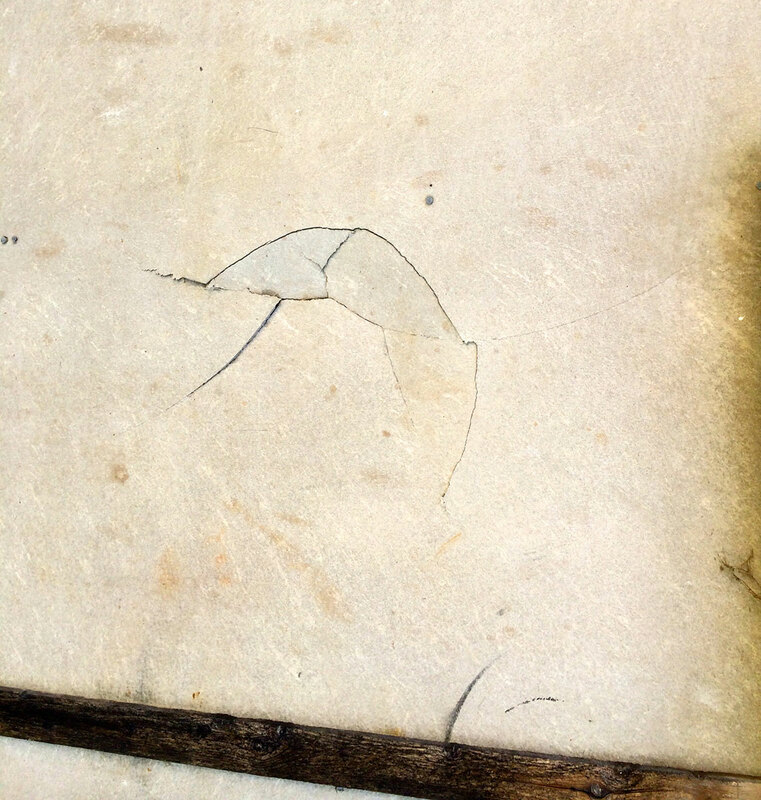 The main culprit in this was vinyl floor tiles and the adhesive mastic used to glue them down. Some ceramic floor tiles also contained asbestos netting backing, as did carpet underlay. Asbestos cement sheeting was often used under free standing heaters to give an insulated barrier between the heater and floor – it was particularly used under brick hearths. 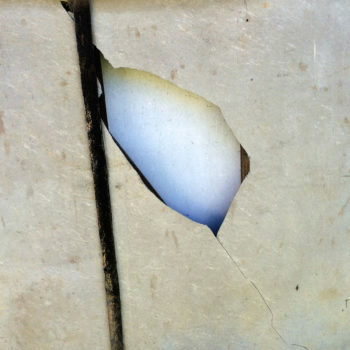 Compressed Asbestos Cement Board, which is thicker and stronger than normal asbestos cement sheet can also be found used as flooring (particularly in wet areas), steps and decking on patios and verandahs. Lifts and lift wells in particular, are a source of both bonded and friable asbestos. The lifts themselves were often insulated with asbestos of some form, whilst the lift wells could contain asbestos in many areas, from the electrical wiring and switch gear to spray on insulation and asbestos cement lining and insulation board of various forms. Some buildings or facilities will have rooms, or even buildings solely dedicated to housing all the equipment used to control the heating, cooling and hot water etc. for the complex. Larger facilities may have Service Tunnels or Cavities which are used to run the service pipes or wiring through. These areas can be ‘hot spots’ for asbestos as all equipment installed prior to 2004 could feasibly contain asbestos. It was common in older boilers to find either asbestos wool type insulation, asbestos insulation board or asbestos insulation bricks. Hot water systems were often insulated with asbestos blanket materials; heaters, air-conditioners and duct work were commonly lined with asbestos insulation board or wool type insulation. Pipework was often insulated with asbestos formed lagging or asbestos bandage or rope type insulation material. Pipe joining gaskets and flanges were commonly made out of asbestos, as were many electrical components including control board backing, fuses and switches. Asbestos was also used to cover electrical wiring and sprayed on steel work to insulate and stop corrosion. Asbestos cement sheet, asbestos insulation and asbestos spray on insulation is likely to be found on walls and ceilings and even used as flooring. Needless to say, plant rooms, and service tunnels and cavities, should be prioritised for asbestos assessment and remediation. Due to the high possibility of friable asbestos being present, all plant rooms should be restricted space until an asbestos clearance certificate is issued. Super 6 and shallow profile Asbestos Cement Corrugated Sheet was often used as roofing. Due to its age it is dangerous and should be replaced as a matter of priority. But the roofing itself is only the start, flues, ridging, capping, gutters and downpipes are just some of the asbestos containing products you are likely to find on a roof. Both interior and exterior walls may contain asbestos, if made of cement sheet construction, original and installed before 1984, they will contain asbestos. If painted and in good condition they pose no risk, but procedures should be put in place to eliminate any chance they can be damaged by children, staff, workmen or nature. 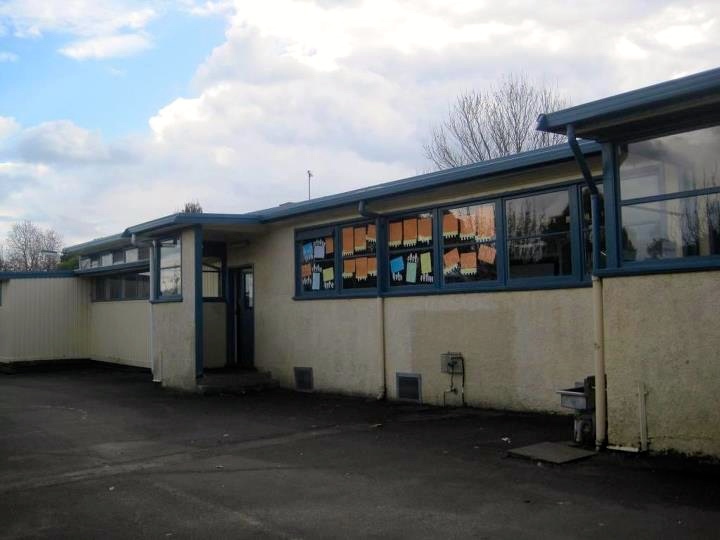 All schools that have asbestos cement sheet walls, should have trained staff and the equipment available to carry out Asbestos Emergency Procedures to minimise the risk of exposure should damage occur. Compressed Asbestos Cement Board whilst more commonly used as flooring, was also used as wall sheeting and infill material under verandah, balcony and stairway railings or balustrades. Asbestos Cement Sheet was commonly used to line outside walls and wet area walls indoors, so you would expect to find it in common areas such toilet blocks, bathrooms, laundries, first aid rooms, kitchen/cafeterias, science, trade and sports areas such as gyms and swimming pools – but be aware, it may be found being used as cladding on the walls of any room! Whilst not commonly used, occasionally asbestos insulation board may be found on walls, particularly behind heaters and such like. If in situ it should not be touched, but removed as a matter of priority. Asbestos insulation board is more fragile than asbestos cement sheet and can more readily be turned into a friable product. As with ceilings, asbestos containing textured finishes were also commonly used on walls. Note – these finishes are often painted over! Caution: There have been reports of legally imported plasterboard containing asbestos being imported into Australia from the UK prior to the 1980s, reports place the amounts as extremely minimal and restricted to Queensland (but it could literally be anywhere in Australia). Since asbestos was banned at the end of 2003, and imports of cheap building materials from China reaching epidemic proportions, it is possible plasterboard and other materials and products illegally containing asbestos have been installed. 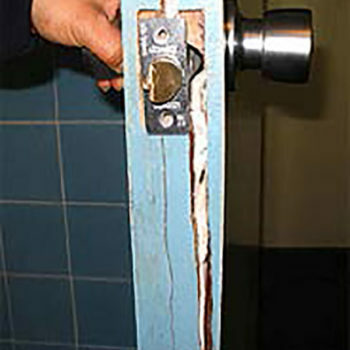 It is another clear reason why every facility should be inspected and tested for asbestos! Many people are surprised to learn the innocent looking putty used to hold window panes in place may contain asbestos. 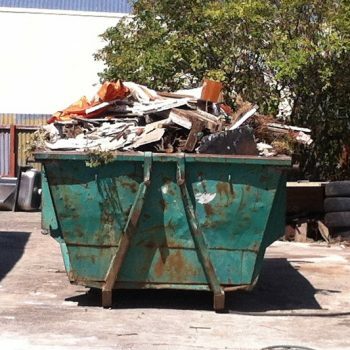 Due to the prolific use of bonded Asbestos Cement Products and Material in Australia, debris containing broken up asbestos cement; flat sheet (fibro) and corrugated asbestos cement sheet roofing; pipe, pits, gutters downpipes etc is of a real concern. The problem with ground area surface asbestos containing material is becoming greater by the day, as more and more old dumping areas are used for housing estates, schools and playing fields. A solution to prevent the debris from gravitating to the surface in these areas (particularly in playgrounds and fields) can be to cover the area in special purpose ground netting material and resurface with clean soil. Debris however is not the only concern, what is hidden below ground in situ, is perhaps a bigger concern for unsuspecting tradesmen, or anybody digging. Often pipes and pits, and broken off fencing will lay dormant for years, either forgotten about or unknown. If there is potential for this to be the case. Warning signs should be clearly displayed. Undisturbed broken up pieces of Asbestos Cement Product or Material are regarded as being safe if not disturbed. But how does debris not become disturbed if laying on the top of the ground? Nature itself will move it around, in the process releasing fibres. Areas containing asbestos cement debris should be wet down and covered to prevent airborne asbestos exposure. The area should be cordoned off and re-mediated immediately as discussed above. Debris however is not the only concern, what is hidden below ground in situ, is perhaps a bigger concern for unsuspecting tradesmen, or anybody digging. Often pipes and pits, and broken off fencing will lay dormant for years, either forgotten about or unknown. If there is potential for this to be the case. Warning signs should be clearly displayed. 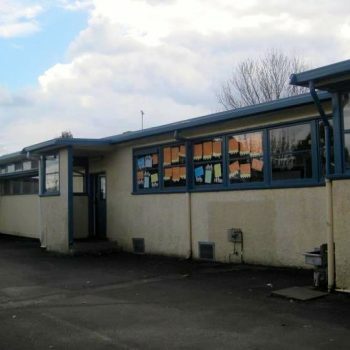 All Schools and Public Use facilities, that have, or have the possibility of asbestos cement products or materials being present should have trained staff and/or volunteers, and the equipment available to safely carry out Asbestos Emergency Procedures to minimise the risk of exposure should damage occur or asbestos cement debris be found. If the facility was constructed prior to 1990, the entire building and grounds should be examined by a fully licensed, qualified experienced person; and that samples are taken and tested for the presence of asbestos to identify the exact risk that is present. If the facility was built between 1990 and 2004, then any suspect products that have the potential to contain asbestos should be examined as per the requirements mentioned above. 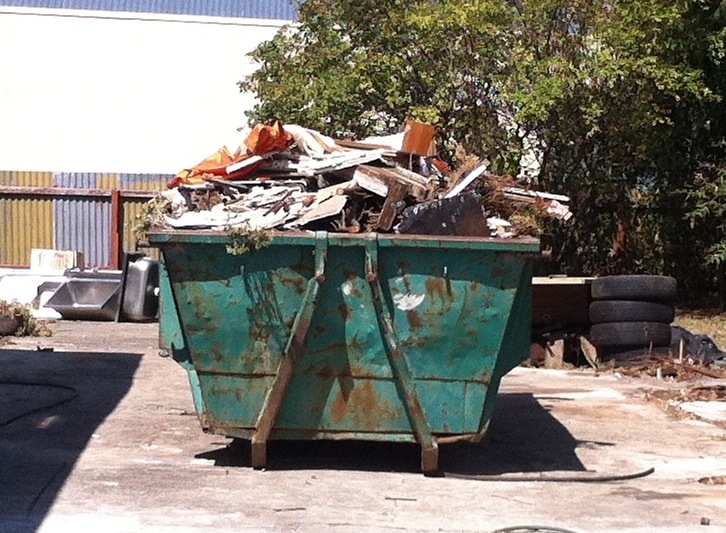 If no asbestos clearance certificate has been issued on the facility – as mentioned at the start of this page, the grounds and surrounds of any School or Public Use Facility, regardless of when it was built could feasibly contain asbestos debris! Remember: Do not be misled, even an expert cannot rule out the presence of asbestos by visual examination only. Sampling and testing for the presence of asbestos is the only conclusive way to rule out the presence of asbestos, and should be carried out as a matter of course, regardless of what your state or territory legislation dictates! This criteria should apply, unless the building or facility has had asbestos remediation carried out and an asbestos clearance certificate has been issued covering the entire site; or there is written evidence from a creditable, qualified, experienced, licensed person stating the facility, including its surrounds, grounds and playing fields, have been examined, samples of suspect areas have been taken and tested, and that no asbestos exists on the site – in other words, an asbestos clearance certificate has been issued. The school community or user community has a moral right to know where asbestos is in a School or Public Use complex, what form it takes, and the risk it poses. Legally, this will vary from jurisdiction to jurisdiction – however, what is clear all responsible persons have a clear duty of care to provide a safe work and use environment. Particularly in the case of Public Schools, as parents are compelled to ensure there child attends school, then the Government can not walk away from its’ responsibility to provide a safe learning environment – this, in Australia at least, is a fundamental right! Asbestos needs to be carefully managed as a prioritised programme of removal is enacted. It is to the advantage of all concerned to KNOW THE DANGERS and MANAGE THE RISK Administrators should ensure where asbestos containing materials are present, even if in good condition, procedures are put in place to ensure they are protected from accidental damage. It is worth remembering there is no known safe level of exposure to any form or colour of asbestos – there is no such thing as a good form of asbestos!